Your Rajasthan Tour will be a memorable with well experienced Rajasthan Tour Operator. With our planned trip you can surely enjoy your Holiday in Rajasthan. The team has got ample experience in organizing all the events in a professional manner. The needs of the traveler will be satisfied by the operator, you will surely have pleasant time during your entire travel. The enormous culture and tradition that is prevailed in the marvelous cities of Agra, Delhi and Jaipur will be explored during the Golden Triangle Tours. Golden triangle tour packages are arranged by Tirupatiholidays.net are highly trusted and recommended by the people all over the world. Enjoy the camel safari and Jeep safari in the desert part of Rajasthan with Tirupatiholidays tour package. These tour packages are available according to your budget. This desert tour is for 7 days and covers many destinations like: Delhi, Jaipur, Bikaner, Jaisalmer, Jodhpur and Pushkar. Nonpareil beauty of nature fascinates every heart. Wildlife safari tour of Rajasthan is perfect for a travel enthusiast who wants to witness nature's beauty closely. The tour package covers popular National part and sanctuaries of the state and offers exciting & thrilling wildlife safari. Tirupatiholidays tend to help all the travelers to observe the culture and history of Rajasthan, within the limited time period offered by the Rajasthan tour operators. 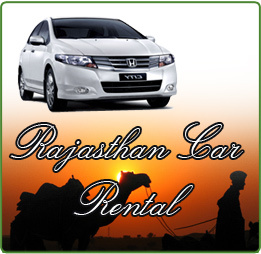 Your astonishing tour packages of Rajasthan starts from the most famous cities of India. Book the Rajasthan tour packages from Bangalore, New Delhi, Mumbai, Ahmadabad, Hyderabad, Pune and many other famous cities of India. The Tirupatiholidays always engages in finding out the ways for better of the services and perfection in offerings. As our main motive is to increase the level of satisfaction among the customers with services like Hotel booking, luxury train packages booking, flight tickets, cab services etc. Rajasthan Tourism at its best. Rajasthan known as the Kings land provides you with a different kind of atmosphere for all the travelers and visitors. Located at the North-Western part of India, Rajasthan has area of about 342,239 sq km. The colorful nature and Attractive Forts and Palaces in Rajasthan make the people to visit this place very often. The wildlife, vast deserts, grand gardens have made much contribution towards Rajasthan�s� popularity. The Holiday in Rajasthan can be enjoyed at the most with the Rajasthan Tour Packages.